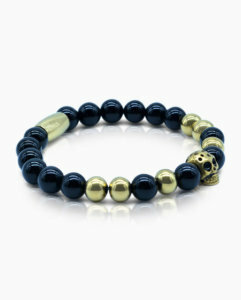 This premium Black Onyx Beads Perforated 18k Gold Plated Skull Charm Bracelet is one of our most popular pieces. The timeless combination of black and gold accents from high grade natural black onyx stone and 18kt. 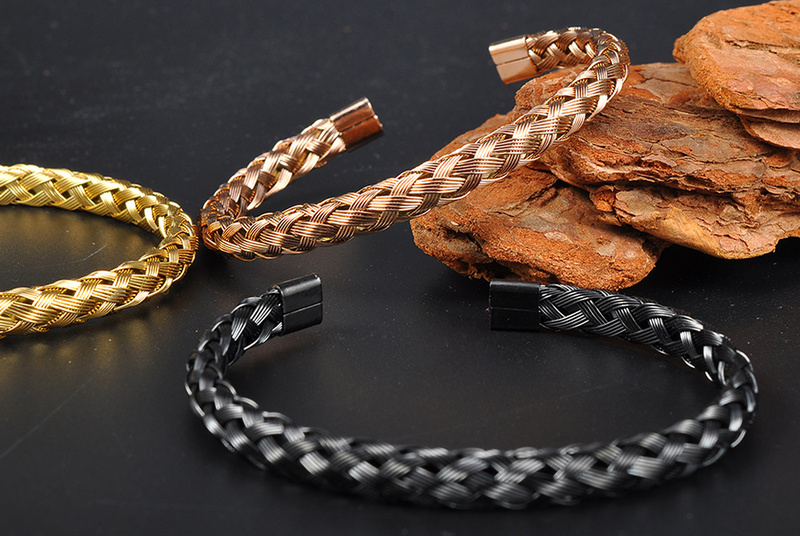 gold finish element emphasizes the exclusive aesthetics of this bracelet making this a must-have stylish accessory. 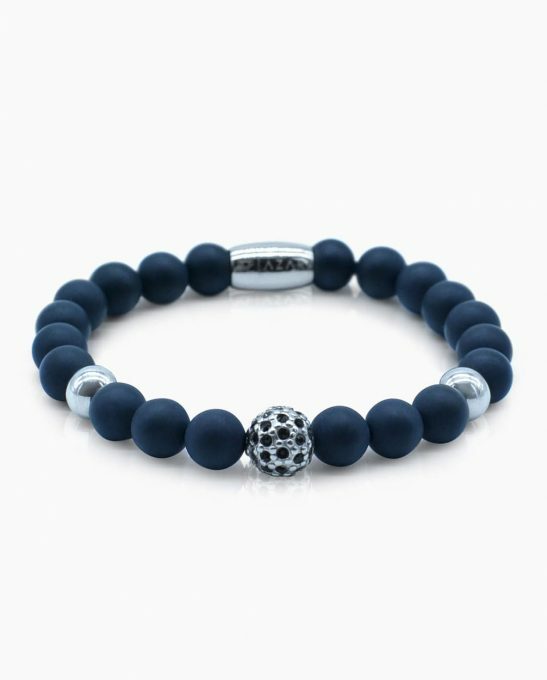 The classic design renders the onyx stone bead bracelet a stylish choice to match with a variety of styles. 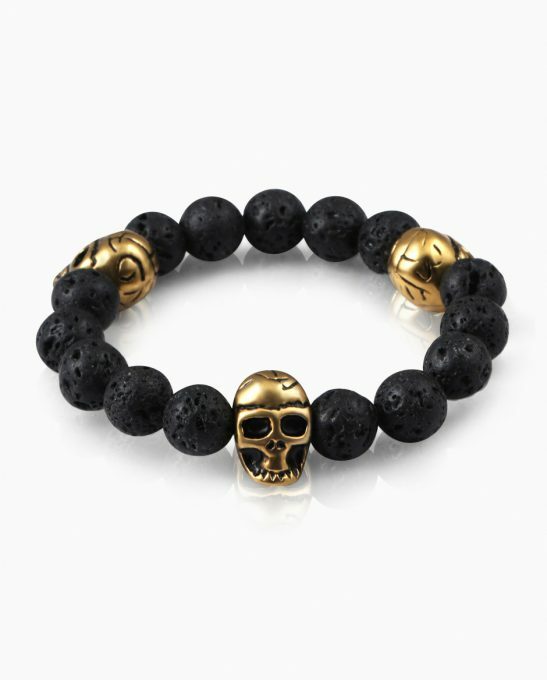 1 * 10mm Heavy 18K Gold Plated Perforated Stainless Steel Skull Head – to elevate the Azari bead bracelet and accentuate the exclusive look. 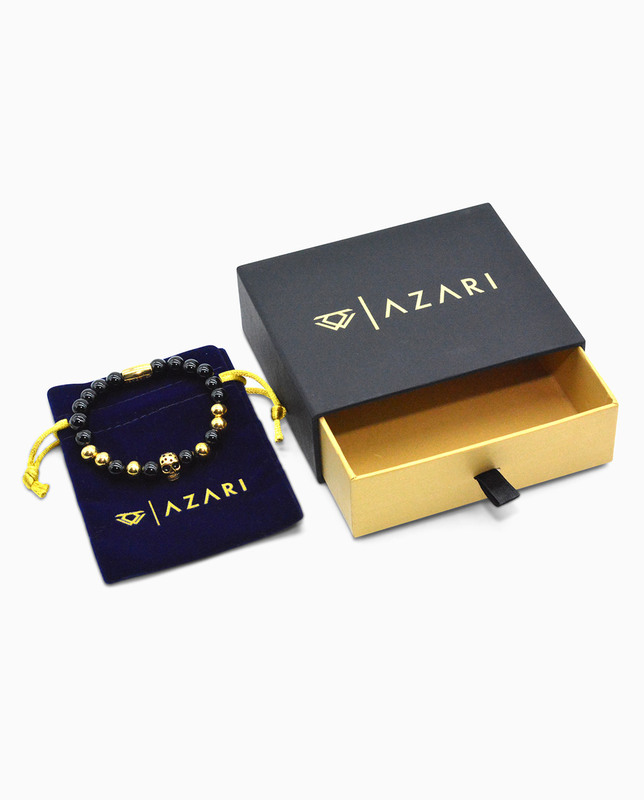 6 * 8mm Heavy 18K Gold Plated Stainless Steel Balls – to compliment the Black Onyx Stone and bring out the Azari bead bracelet. The black onyx gemstone is a stone of protection and is believed to fortify self confidence and responsibility to its wearer. Click Here to read more about the black onyx gemstone meaning and benefits. This premium Authentic Black Onyx Beads Perforated 18k Gold Plated Skull Charm Bracelet highlights the fascinating tones of the Black Onyx Gemstone Beads blended flawlessly with heavy 18kt. gold perforated skull and beads. 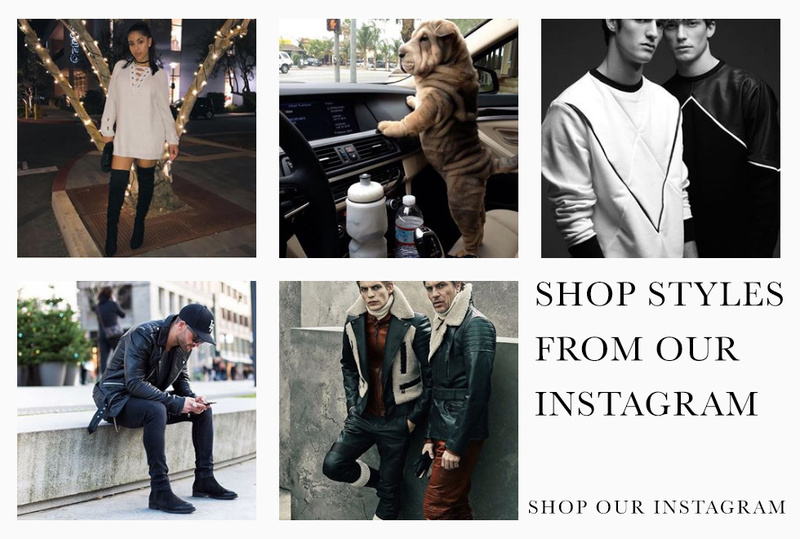 100% handmade – Superior craftsmanship employed in making the beaded stone charm bracelet ensuring that every element is made to perfection for greater durability and exclusivity. The timeless combination of black and gold accents from high grade natural black onyx stone and 18kt. 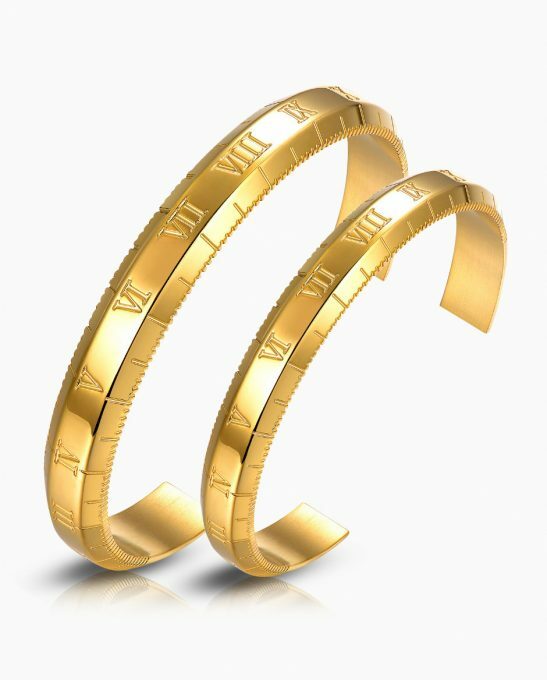 gold finish element emphasizes the exclusive aesthetics of this bracelet making this a must-have stylish accessory. 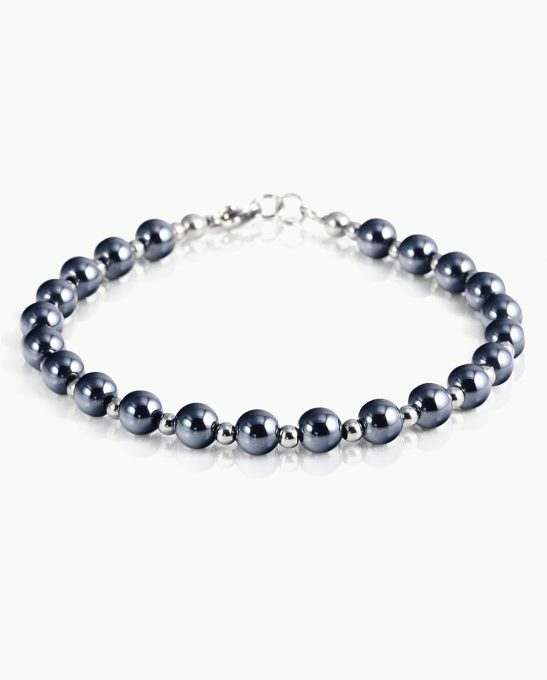 The classic design renders the onyx stone bead bracelet a stylish choice to match with a variety of styles. The Onyx gemstone is a protective stone worn when facing adversaries in battles of conflicts of all kinds. Onyx as a birthstone is believed to provide the structure and authority you crave. It can help you be the master of your destiny and strengthen your confidence. It also offers the gift of wise decisions. In many cultures, the onyx gemstone is associated with assistance in releasing negative emotions such as sorrow and grief. It is known to prevent draining away of personal energy and defend against negativity that is directed towards the wearer. It also helps with grounding and controlling or eliminating excess or unwanted energies. It helps to fortify self-confidence and responsibility. The gold metal is associated with higher ideals, wisdom, understanding and enlightenment. It believed to inspire knowledge, spirituality and a deep understanding of the self and the soul. It represents perfection and purity. Gold gemstones are believed to increase personal wisdom and power, aid in health and wellness, create success and prosperity, and illuminate the path toward your goal.